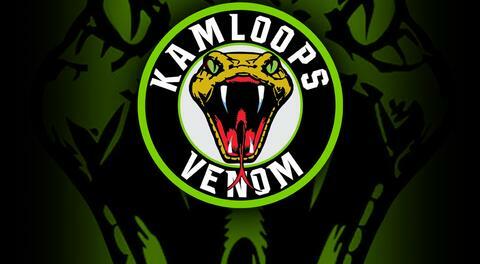 Kamloops, BC – The Kamloops Venom Lacrosse Club announces Martin Gardner as the new Governor and General Manager. We are pleased to announce that Martin Gardner is taking over as the Governor/General Manager for the Kamloops Venom in advance of the 2019 season. I will remain with the organization as the Treasurer and to assist in the transition of all managerial duties, roles and responsibilities within the club throughout this transitional period. Our collective vision for the future of the Kamloops Venom is undeniable and I feel Martin brings both his love and passion for the game and a new energy to the team that has waned in me over the past few years. I’d like to thank Martin for taking over to keep the team running smoothly. And a big thanks to all the businesses, volunteers, and fans that have help keep this team alive for 11 seasons. It’s been a fun ride. As the founder of the organization 11 season ago, my roles has included Governor, GM, Treasurer and most proudly as the Team Mom! However, I am very much looking forward to a drastically reduced responsibility within the team and I feel that Martin will serve you well moving forward. It has been an honour to be a part of this great organization and I still love everything about the team! The Pittman family wishes to remain involved and to continue to support the team however possible and we are looking forward to a great season. Welcome Martin! For more information please visit www.kamloopsvenomlacrosse.com or contact Martin Gardner @ (250) 819-7668 or Carol Pittman @ (250) 319-4102.